Both Kathleen and I slept until quite late this morning as we had been disturbed by last night’s very heavy rain and were still catching up after our disrupted evenings of late. We drank our morning teas and then I took Max for a walk as Kathleen cleared up and prepared the boat. 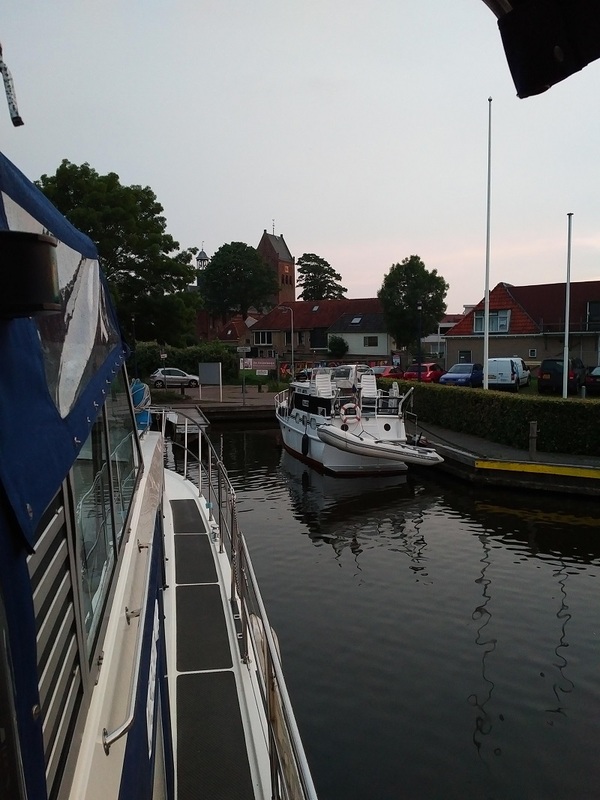 We had some long and emotional farewells with our new Aussie friends, Cathy and Craig, who followed us along the quay as we left and even to the water-point in the nearby facilities where it took us ages to fill up. The rain had just about stopped by this time, but resumed as we cruised on past the numerous havens and marine businesses that lined the Simmerrak and then the river banks opened out for us to experience the splendid expanse of the Sneekermer and then closed in again as we cruised through the open doors of the massive Schutsluis; only closed during periods of floods and water control. 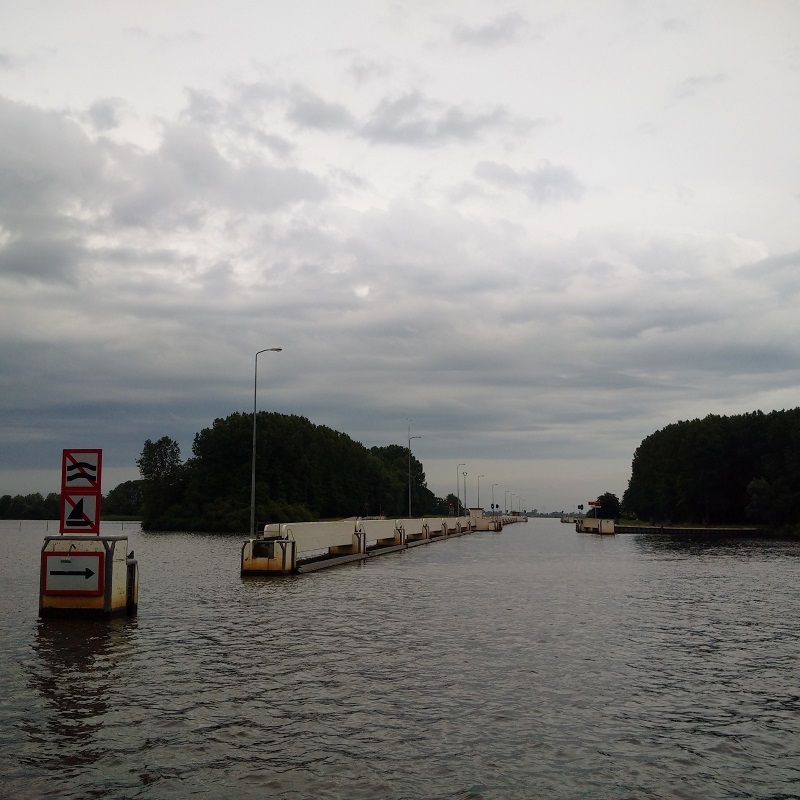 We were still on the Stadmaast route and so the remaining bridges would have opened but their clearance closed was over 7.1m and our greatest aerial height was 6.6m and so we could just cruise underneath. 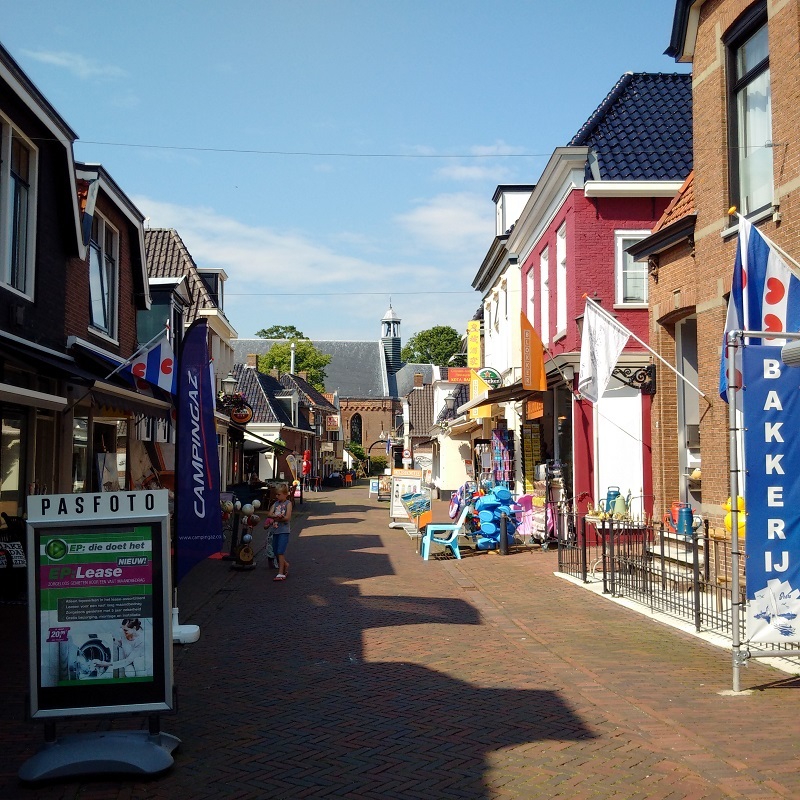 Soon we steamed into the open Pikmar of Grou and then spent some time cruising up and down to choose our most comfortable mooring before choosing a hammerhead in the Gemeente Boarnsterhim. This had very good WiFi but just delivered some 1.1Kw/$.50c which gobbled up quite a lot of our coins, given that it was by now a heatwave and I needed the air conditioning on to work!